The Nano Airstrike is easily the most successful concentrate rig put together by SYN. 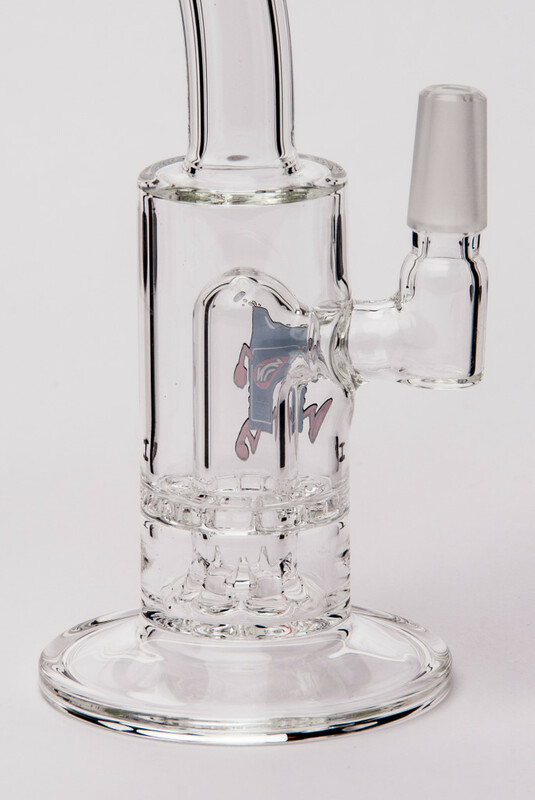 The small size allows for low volume hits and the multiple percs for excessive cooling. This is a complete version of the Full-sized Airstrike, compacted to about 1/8 the size. This allows multiple levels of diffusion on a tube shorter than 10 inches. 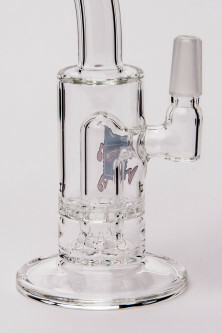 Smallest multiple perc standalone tube known to man or beast.